CHANGE YOUR LIFE WITHOUT LEAVING THE HOUSE. WHY TRAIN WITH BARRE BODY? As Australia’s leading barre company, we have developed the best and most comprehensive barre training program. 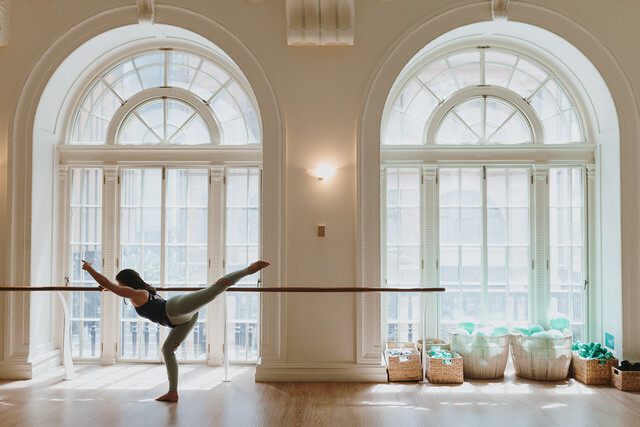 We believe that it takes more than a weekend to become an outstanding barre teacher and so we’ve put the same love, care and wealth of knowledge & skills into our online training as we have in our in-person trainings. Choose your start date (how about now?) and take the course at your own pace. Work through the modules in your own time - six months of access guaranteed so you won’t be rushed. We will also post you a physical manual with over 100 pages of repertoire and magic. Our barre training is not a crash course. You'll be guided through hours of comprehensive content including videos of every exercise, practice teaching and review, to ensure that you graduate fully equipped to teach exceptional classes. We're here to guide you every step of the way. You can ask questions at any time online and they will be answered by a lead trainer almost immediately. You will also gain lifetime access to our facebook community of trainees and graduates. This training is not a syllabus or licensing program. We teach you the art of sequencing and class planning, so you can design your own unique classes. Our graduates are teaching worldwide -	giving you the freedom to teach anywhere. 1. Start anytime you like. From anywhere in the world. 2. You’ll have immediate access to the course as soon as you sign up. 3. We will post a manual to you anywhere in the world. 4. Ask as many questions as you like along the way! Simply comment on the module you are learning and a master trainer will get back to you within a day (or sooner). 5. You’ll have 6 months access to all course content (and the manual is yours to keep forever). 3-6 months is the ideal time to complete the course. 6. If you want to speed through, you can get through all the content in a week or so and then spend another few weeks doing your review, practice teaching and observation hours and your assessment video. Visit our FAQs for more deets. 7. Barre Body trainers are the best in the world and you won’t be disappointed. We’ll be here to guide and support you every step of the way. WE'VE TRAINED THE BEST OF THE BEST. Danielle on the Barre Body magic. Our graduates on why they recommend our training. Lauren on diving in the deep end. Online certification is yours for $1200 AUD (approx $900 USD), or if you are a studio owner wishing to train your whole team, contact us for a package. Once you’ve enrolled, you’ll have immediate access to the course, and you’ll be guided through step by step. Don’t know your funny bone from your femur? Don’t worry – that’s what we’re here for! We’ve got answers. Click here for our FAQs. The most comprehensive barre training is now available online. Give your teaching journey the very best start with Barre Body Online Teacher Training. WANT A TASTE OF THE BARRE BODY MAGIC? FREE 40 MINUTE ONLINE BARRE CLASS.